﻿ Gus G isn’t the type of guitarist who’d come across as having a prominent solo career, mostly because his most noteworthy work comes across as so sporadic. Sure, he’s maintained some longevity through Firewind, but beyond that, his top credits come with guest slots for Arch Enemy, In This Moment and Kamelot, and replacing Zakk Wylde for Ozzy Osbourne’s undeniably mediocre 2010 album Scream. But apparently he still holds still clout within the guitar sphere, as evidenced by the “virtuoso” tag that more often than not proceeds his name, leading to some horrible preconceptions of Fearless being another fretboard-wanking bore for guitar nerds only à la Joe Satriani or Yngwie Malmsteen. Somewhat surprisingly then, Fearless is a lot different to those expectations. Instead, Gus has recruited Pink Cream 69 and Unisonic’s Dennis Ward on vocals and bass, and Evanescence’s Will Hunt on drums for what ends up as a pretty straightforward hard rock album. And besides the dexterous, detailed guitar work, Fearless does precious little to distinguish itself from a very accessible, middle-of-the-road brand of hard rock that isn’t all the thrilling when countless classic rock and metal bands have already bled these formulae dry. But even then, the likes of Don’t Tread On Me and Nothing To Say are likable and inoffensive enough and are bound to appeal to those pining for the widescreen, gimmick-free rock of old, and leaning into some heavier stomp like on Mr Manson creates ground that’s a bit more stable and fertile, as opposed to simply paving over ‘80s and ‘90s arena rock. Rather than being outright excellent though, Fearless will average out on a very mid-tier level as far as songs go, with the only notably bad moment being the cringeworthy “update” of Dire Straits’ Money For Nothing. Other than that though, the lyrical work doesn’t have a great deal of depth, and Ward’s vocal contributions are solid if inconsequentially nondescript for this type of hard rock, but it’s not as if that wasn’t expected. Really, Fearless’ greatest source of merit comes in its most technical level, unsurprising considering the reputation that Gus has built for himself, and it’s what can usually be relied on to pick up any slack that might come naturally. A zipping, wailing solo on pretty much every song is appreciated, if only to show the hint of impetus this album has to keep going, and with crisp production particularly on the guitars, it’s made clear that the best features here are being pushed right to the fore. It would explain the inclusion of the title track and Thrill Of The Chase, two instrumental pieces that are easily the highlights here, being among the meagre space that Gus has to properly show off just have talented of a guitarist he is, and the fact that there is such a vivacity and unrestrained electricity to them is enough of a reason to put more focus on material like this. If there’s an end result to what Fearless has to offer, it’d probably be that – Gus would indeed be better off going down the solo, typically virtuoso route of instrumental albums than this, a by-the-numbers hard rock effort that occasionally has the gall to get a bit wilder. It’s ultimately fine with few moments that really go downhill, but it feels overall like an attempt to win over a crowd that mightn’t necessarily be the guitar junkies who’ll know Gus’ work anyway, and as a result it’s greates strength becomes somewhat diluted. Even if there have been worse hard rock albums released this year, there’s still no excuse to merely settle with one that tops out at “okay”. 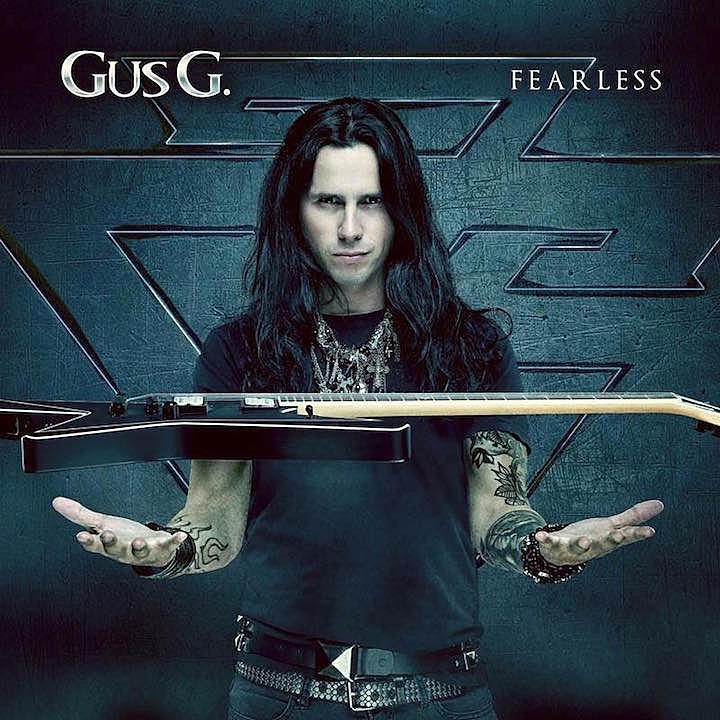 ‘Fearless’ by Gus G is released on 20th April on AFM Records.